One of the defining qualities that separate human beings from other members of the animal kingdom is our sophisticated (and constant) use of language. We are born with an intrinsic need to communicate our thoughts, needs, desires, and ideas to others. The young child, naturally possessing this human tendency, and aided by the absorbent mind, is driven to develop the skills of his or her native language. The Language Area is home to some of the most important lessons learned in a child’s life and encompasses both receptive (listening and reading) and expressive (speaking and writing) skills. A typical 3-year-old student understands and responds to the oral language surrounding him or her. But something changes as the child begins to develop the skills of reading and writing. They delight the student and confer whole new levels of freedom and independence that – in turn – encourage even further learning and growth. In her early years, Dr. Montessori discovered that young children were far more capable and interested in developing writing and reading skills than traditional educators expected. She found that when the hand and the mind are prepared side-by-side, reading and writing occur quite naturally and even tend to support one another. Montessori classrooms offer numerous activities to build the muscular strength and motor coordination needed for writing. 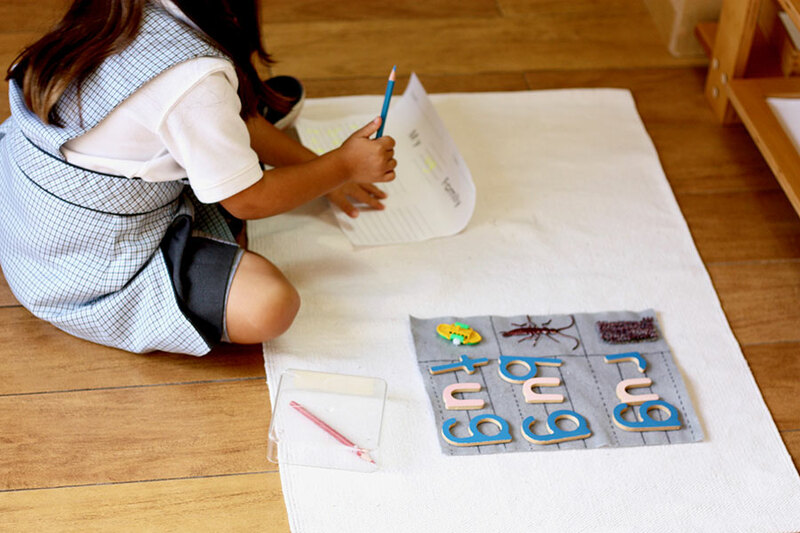 Using the Sandpaper Letters, for example, children are given a tactile guide as to the proper formation of written letters while also learning to associate the letter symbol with specific letter sounds. Once the child knows a few sounds and can recognize them by sight and sound, he or she is often able to identify them in other words (both written and spoken) and, before you know it, can blend those sounds together into words of their own. 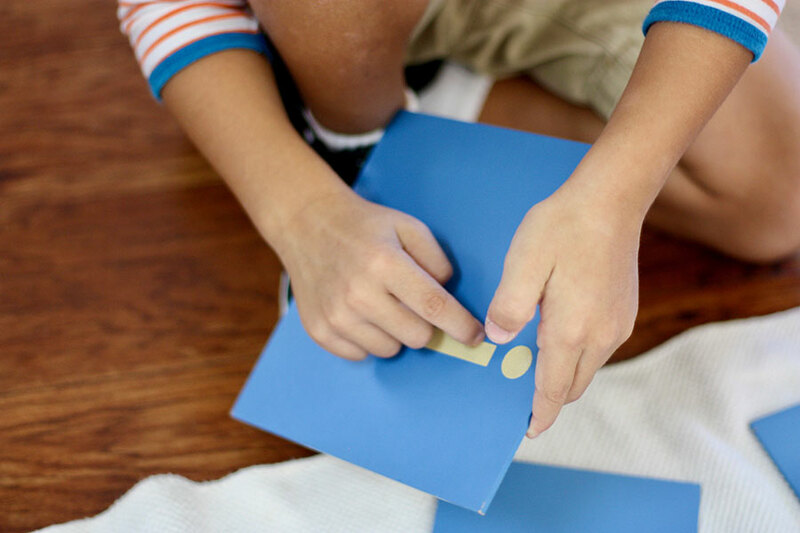 The goal of Montessori’s Language Area is to nurture the child’s natural interest in language so that he or she develops a love for reading, learning, and self-expression that can be treasured – and built upon – through his or her entire life. 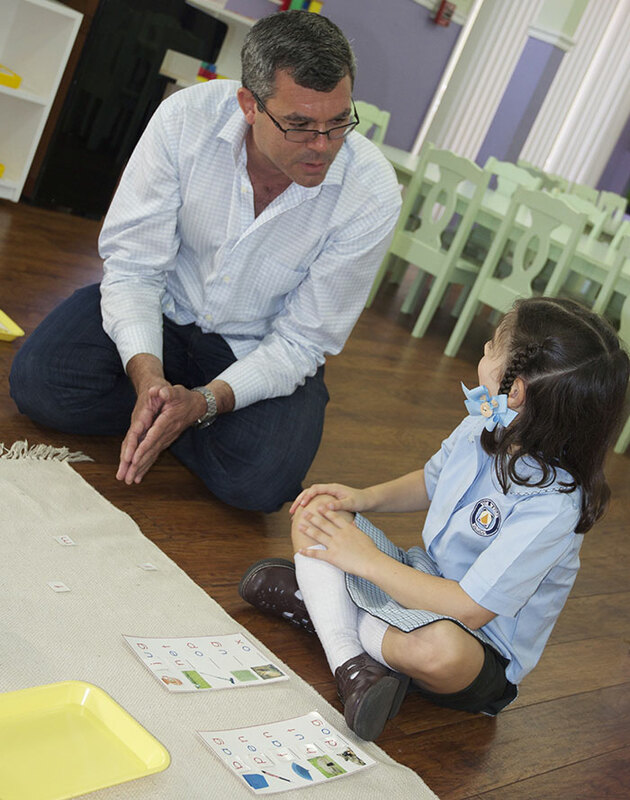 Although each child absorbs and acquires language at his or her own pace, Montessori’s multi-age classrooms foster development by way of the constant exposure to older students who are already decoding words, reading, and writing sentences. At Von Wedel, we begin to teach “reading” as soon as that interest is first expressed. Understanding parts of speech: nouns, verbs, etc. At Von Wedel, the Language Area is easy to find. You will see tall, wooden ABC Boards; shelves lined with Sound Boxes and large trays of Moveable Alphabets used for working with letters and words; Boxes of letters/words for teaching Word Families; Word Ladders that support phonics and spelling; the Pink, Blue, and Green Series for reinforcing short vowel sounds, consonant blends, and phonetic combinations; the Metal Insets for developing hand-muscle skills; Boards for writing; writing strips for combining words into sentences; and materials for writing longer compositions and/or stories.